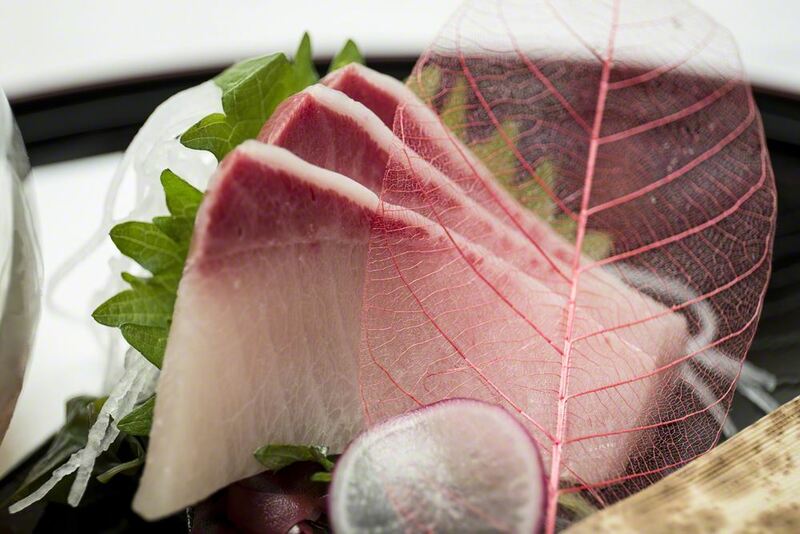 Our hamachi is farmed in Japan. 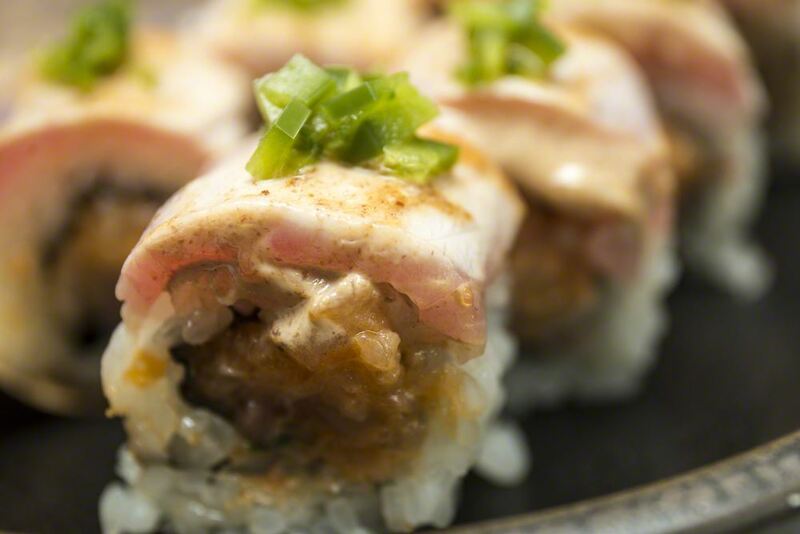 Our hamachi is not SuperFrozen and without any treatment. Our hamachi is loin wihtout the skin. 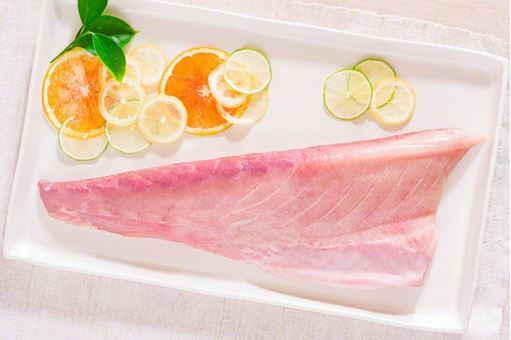 Although hamachi is frozen and kept for a long time in the freezer, we recommend that you do not keep in freezer for more than two weeks. Please cut the vaccum bag to let the air in and thaw the fish in your refrigerator. If can also be thawed on a paperlined shallow baking pan and covered to keep from the moisture evaporating. All our product are sent via FedEx overnight shipping in custom made boxes with specially designed liners to keep the inner temperature intact for frozen or fresh environment. We insert temperature strips with each package so our customers will be assured of no temperature spiking to unhealthy zone to ensure HACCP adherence. 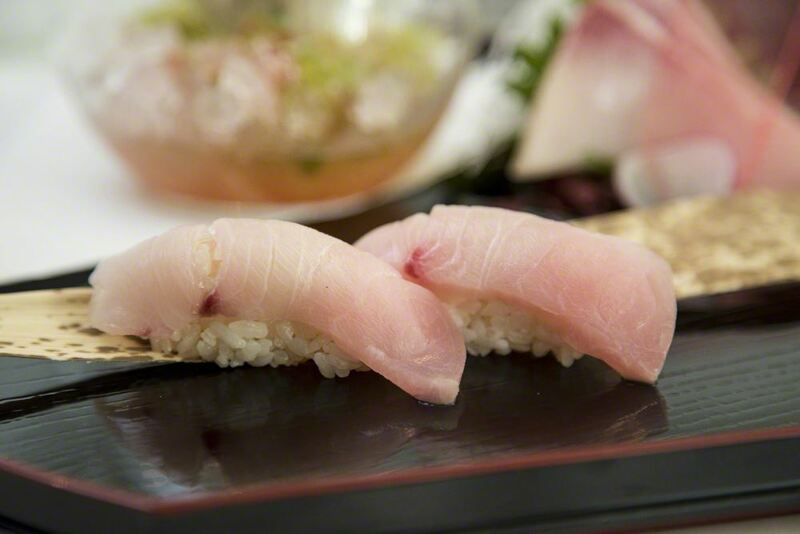 Hamachi, also known the “Blushing Angel” because of its white color that merges into gentle, pink angelic hues. 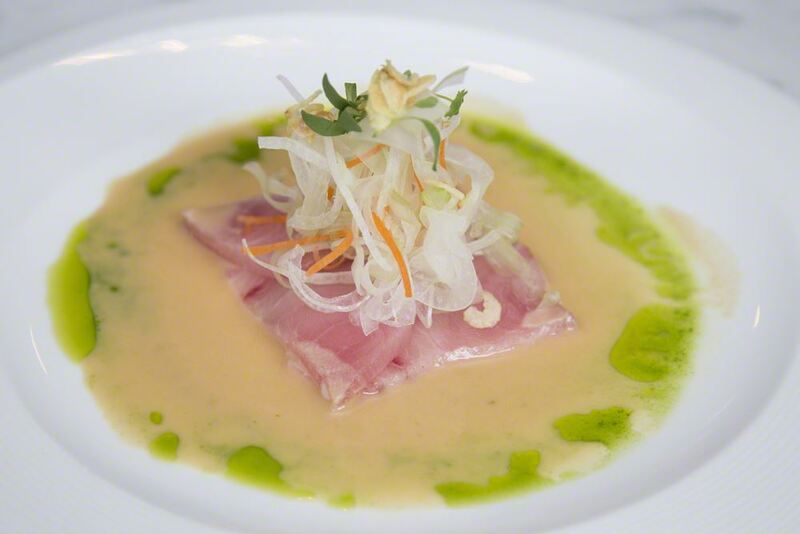 Hamachi is quickly becoming one of today’s most fashionable luxury fish. To make the marinade for the hamachi, combine 1/4 cup orange juice, 1 tablespoon grated onion, the orange zest, 1/2 teaspoon salt and black pepper in a bowl. Add the hamachi to the marinade and flip several times to coat evenly. Cover and refrigerate for at least 12 hours, but no more than 24 hours. When you're ready to grill the hamachi, remove it from the marinade, and use paper towels to dry off the surface. Drizzle with the olive oil and flip the fillets several times to ensure they are evenly coated. To make the fennel and carrots, melt the butter in a frying pan over medium heat. Fry the fennel and carrots until browned on one side and then flip and fry the other side until browned. Transfer the vegetables to a plate and add the onion juice. Turn up the the heat to high and boil until it turns a dark brown and is thick and syrupy. Add the orange juice, and salt and return the vegetables to the pan. Cook until the vegetables are tender and the sauce has reduced to thick syrup. Finish by adding the Grand Marnier. Grill the hamachi until it's cooked through. I like to cook it to an internal temperature of 120 degrees F.
Plate the fennel and carrots along with some of the sauce. 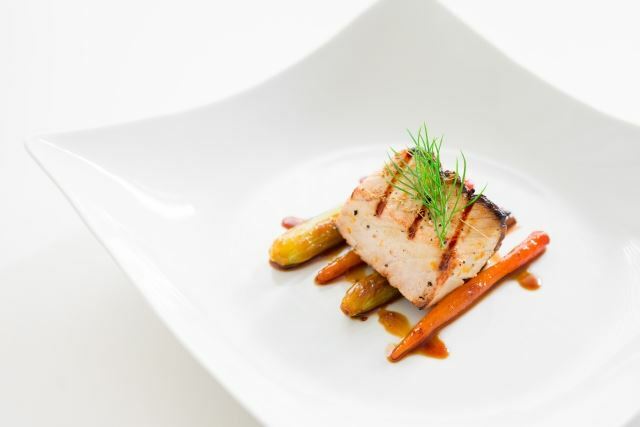 Top with a piece of grilled hamachi and garnish with some fennel pollen and a sprig of fennel leaves.